Runtime: 1 hour and 40 minutes, no intermission. A few years ago, quite suddenly, I thought of something. An implausible story about a mouse. Since then, whenever starting a new show, faced with the empty page and the endless possibility and the looming deadline I have tried and failed to find a way of telling that particular story. Every structural gambit or presentational conceit feeling both oddly insufficient and insufficiently odd. And so, every time, eventually, I’ve abandoned the mouse and I’ve moved on. I’ve had a different idea, for a different story and I’ve written a different show. This time was no different, again I wanted to tell that story and again I didn’t know how. And then, quite suddenly, I thought of something else. An implausible story about a phone call. 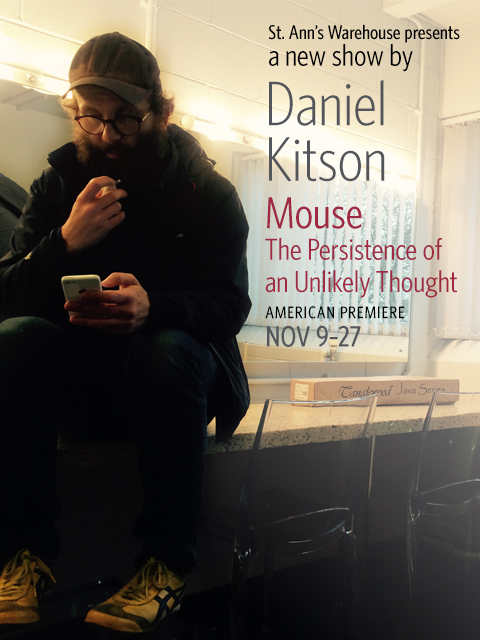 Highlight of #edfringe - the wonderful Daniel kitson's mouse@traversetheatre . Eccentric, pithy, a joyful story performance. Drawn in and mesmerised by the immaculate story telling of Daniel Kitson's #mouse. #edfringe2016 National bloody treasure! Mouse by Daniel Kitson is the best piece of theatre I've seen in years! Funny, moving and engaging from start to finish.